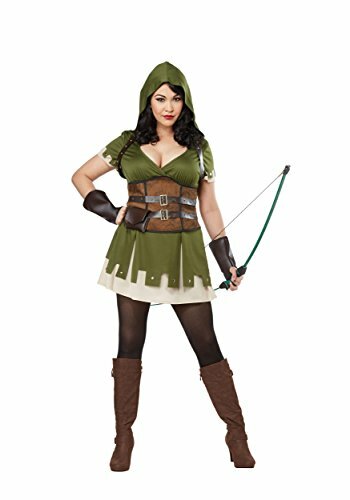 California Costumes Women's Size Lady Robin Hood Adult Woman Plus, Olive/Brown, 3X Large | What Should I Say? She is the famed thief and hero. The lady robin hood costume in plus size is a dress with attached hood. The corset style piece laces up in the back and has an attached pouch. Also included are a pair of gauntlet gloves and an adjustable shoulder harness piece.